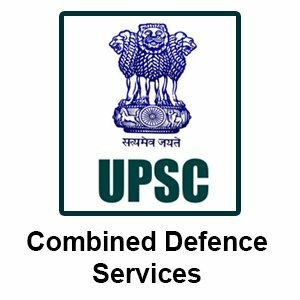 The Union Public Service Commission (UPSC) has released the official notification for the Combined Defence Services Examination (I), 2019 on 31st October 2018. The commission has also started the online application process for the CDS (I) 2019 exam. Interested candidates can apply for the exam from 31st October 2018 and before 26th November 2018 (till 6:00 PM). 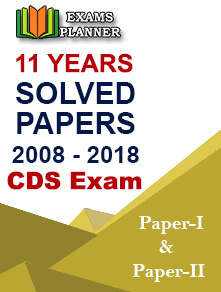 CDS exam is a prestigious national level exam which is conducted twice a year for the recruitment of officers in Army, Navy, and Air Force wings of the Indian Defence Services. Both young men and women, who meet its eligibility criteria, can apply for this exam. Candidates are selected on the basis of written test followed by the interview. The interview comprises two stages. Stage-I includes Officer Intelligence Rating tests and Stage-II includes interview, group testing task, psychology tests, and conference. These tests are taken to check candidates’ physical and mental strength. The application forms are available on the official website from 31st October. Candidates are required to submit the application form before 26th November 2018. Please submit only a single application for the exam. In case you submit multiple application forms, the application with higher Registration ID will be considered valid. Fee paid against one application form will not be adjusted against other application. How to fill the CDS-I Exam Application Form 2019? The registration process can be completed in two parts – Part I and Part II. Candidates are required to complete both the parts for successful registration. Complete all the details; upload scanned images of photograph and signature. Take a printout of the successfully submitted application form. All candidates are required to pay ₹ 200/- (Two Hundred only) as application fee. Candidates belonging to SC/ST category and female candidates (all categories) are exempted from fee payment. The fee is payable either through cash (to be deposited at any SBI branch) or net banking facility or using Debit or Credit card. How to get the UPSC CDS-I Admit Card 2019? Candidates, whose application forms have been successfully accepted, will be able to download the admit card from the official website of UPSC. The CDS-I admit card 2019 will be made available three weeks prior to the exam. Please note no admit card will be sent through the post. There will be negative marking in the exam for the wrong answer. One-third of the marks allotted to the question will be deducted as penalty. There is no substitute for hard work for an exam. And, CDS is no exception. 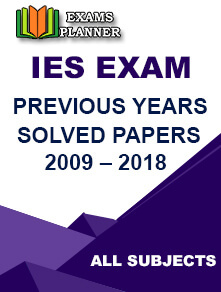 The exam pattern has been mentioned above. Keeping this into consideration, candidates should prepare for their exam. 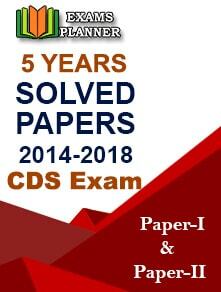 After a thorough study, solving papers of the last 4-5 years prove very useful. Apart from this, they should indulge themselves in online preparation that includes online practice tests, video lectures, live classes and online test series.